BRYAN EATON/Staff photo. 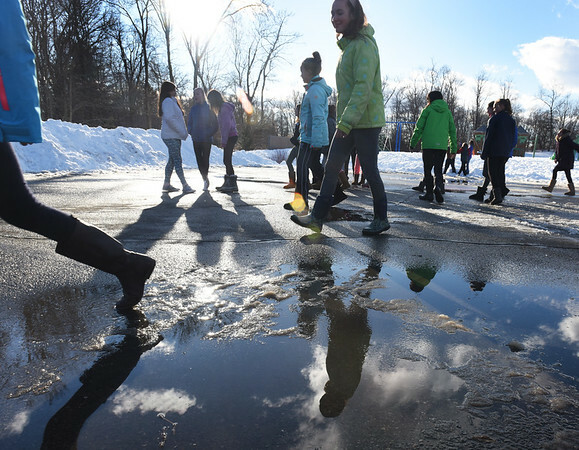 Students at Newbury Elementary School reflect in puddles of melting snow as they had recess outdoors on Tuesday afternoon. The melting should continue as daytime temperatures stay above freezing and rain due into the weekend.